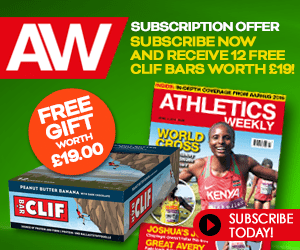 When it comes to running experience, Jo Pavey certainly has her fair share. The 43-year-old has so far represented Great Britain at five Olympics, from Sydney 2000 through to last year’s Rio Games, and sometimes when she competes in her club colours her Exeter Harriers vest is older than some of her competitors. Yet she continues to run and is always learning. That, together with her drive to set new goals, means she doesn’t intend to stop any time soon. 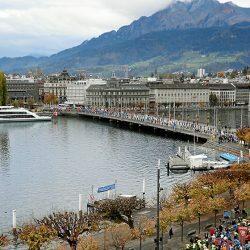 In fact, racing the Virgin Money London Marathon is next on the list and that offers a chance to achieve another ambition — to qualify for the 26.2-mile event at the IAAF World Championships in London this summer. Pavey made her marathon debut in London in 2011 (pictured below), clocking her current PB of 2:28:24, before running the New York City Marathon later that year. 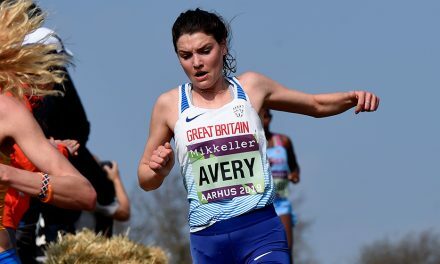 In order to qualify for this year’s World Championships, which would be her sixth edition, Pavey would need to achieve the necessary time of 2:36:00, as well as finish as one of the top two British athletes around the streets of the UK capital on April 23. 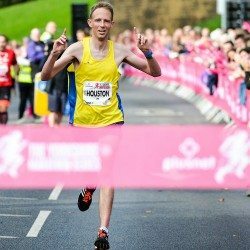 “That would be an exciting thing to try and do but obviously I haven’t yet achieved it,” Pavey says modestly on the thought of earning another GB vest. “I don’t really like talking about things I haven’t done yet! 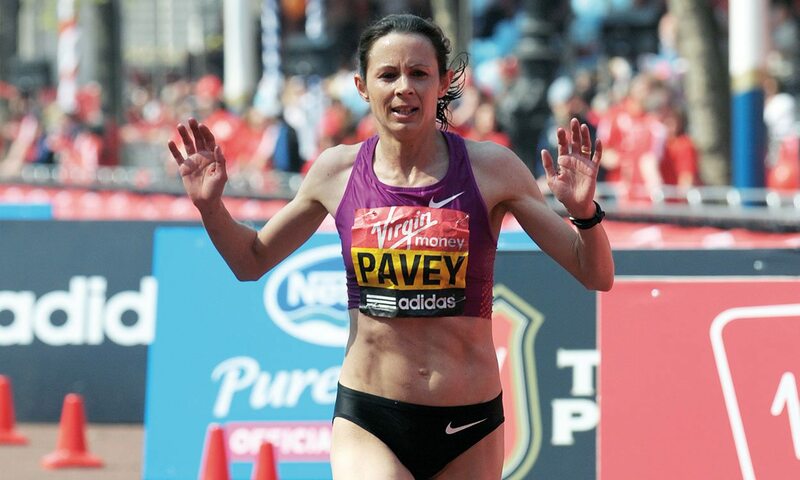 It would see Pavey become the only Briton – male or female – to have ever achieved such range at the World Championships, an event she has so far contested in 1997 (1500m), 2001 (5000m), 2003 (1500m), 2005 (5000m) and 2007 (5000m and 10,000m). 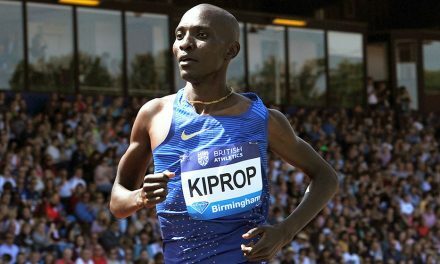 She could also be due to receive a world 10,000m bronze medal from the 2007 championships in Osaka – her first global medal – following the recent disqualification of the runner-up in that race, Turkey’s Elvan Abeylegesse. Born in 1973 in Honiton in Devon, Pavey (née Davis) joined her athletics club while at school and was a talented teenager, setting a British under-15 1500m record of 4:27.9 at the 1988 English Schools Championships. 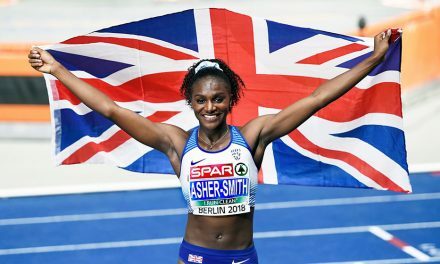 Injuries caused her to miss much of the next decade but she qualified to make her World Championships debut in 1997 and has been an important part of many Great Britain teams since then, with some of her team-mates even affectionately calling her ‘Granny’ in recent years. 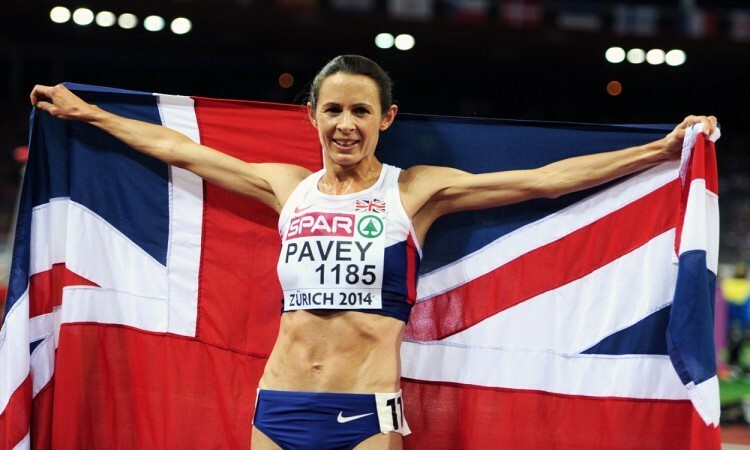 Pavey has also acquired the nickname ‘Supermum’ for the way she manages to effectively juggle family life with her athletics career. 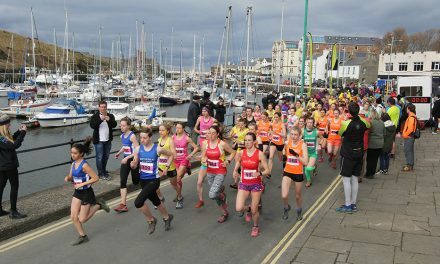 The mother of two is coached by her husband, Gavin, who she met at Exeter Harriers and married in 1995. They had their first child, Jacob, in 2009, while their daughter Emily was born in 2013, and Pavey’s first major title – European 10,000m gold at the age of 40 – was claimed when Emily was less than a year old. 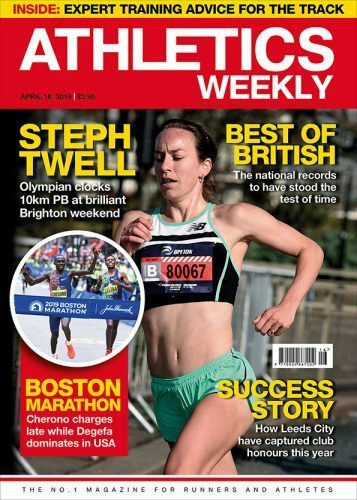 With marathon training demanding more from Pavey in the way of long runs, her programme has obviously changed as she has made the switch from track to road. But this extremely driven yet down-to-earth athlete insists that despite needing to log many miles, the balancing act is now actually easier than when she was training for the track. Pavey says it has also been very important to “think outside the box” to fit everything in. “I’ve enjoyed being able to go training as a family,” she says. “My little boy goes on the bike with me, so he’s a good training partner, and my husband will go as well with my little girl in a running buggy or on the back of his bike. As well as new goals, it’s that successful life balance which helps to keep Pavey motivated. “I knew it would motivate me to aim for a marathon but it has motivated me even more than I thought it would,” she says. “I think it motivates me that running fits with family life as well. 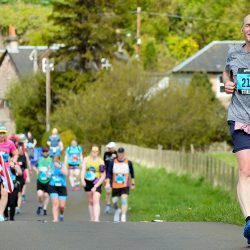 Pavey has been running at least 100 miles a week (“it’s funny really, I never really add up miles”) and, as her training plan has changed, so too has her mind-set. 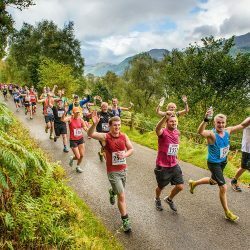 With two marathons already under her belt and a personal best in her sights, Pavey knows how important it is to respect the distance and her experiences in London and New York six years ago mean she can offer some invaluable first-hand advice to others taking on a similar challenge. “I didn’t have ideal preparation for the ones I did,” says Pavey, who suffered injury in the run-up to both events. In London, she went through half-way in 72:28. “I know obviously the real top marathon runners can do that, but I wasn’t ready,” she explains. “I think once you blow up you lose a lot of time, so the last 40 minutes I felt quite delirious. But I still enjoyed the run down The Mall at the end. Pavey is looking forward to experiencing that feeling again later this month as the author of This Mum Runs — the book she had published last summer — moves on to her next chapter.